Get the low down on ripped nutrition with this comprehensive guide. Eating 5-6 small meals a day as opposed to “three squares” causes your metabolism to work constantly. Eating larger meals, however, slows your metabolism and forces leftover calories to be stored as fat. 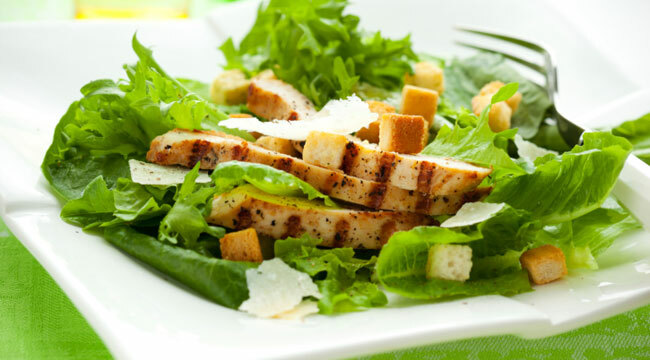 Those who eat a salad before dinner tend to consume less calories overall during dinner. But don’t sabotage yourself - stay away from high-fat dressings like ranch, blue cheese and Caesar. Since muscle-building is the fastest route to slim down, make sure your protein consumption is enough to keep up with your weight training. Eat too little and your gains could be slower. Get 1-1.5 grams of protein per pound of bodyweight per day to help your muscle gains along. Use protein bars and shakes to supplement your whole-food consumption and stave off cravings. Keep your carbohydrates low to moderate when trying to lose weight. If you rotate low- and high-carb days, you’ll be able to keep your energy levels up while running a caloric deficit. Good, clean, fiber-rich carbs include oats, potatoes, rice and whole-grain bread. Also, limit high-carb drinks like fruit juice to postworkout, when your body needs carbs to speed recovery.